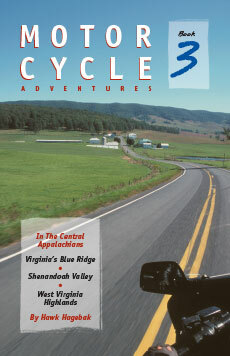 Motorcyclists who think they have the mountains of Virginia and West Virginia all figured out have another thing coming. 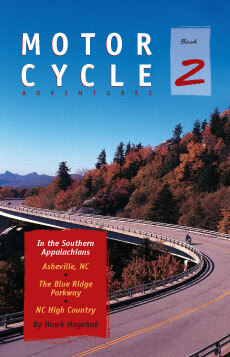 In this, his third guide, Hawk Hagebak takes riders from bustling Market Square in downtown Roanoke, VA, to the giant ridgetop windmills outside rural Davis, WV, and from the natural wonder of the Natural Bridge to the engineering wonder of the New River Bridge. Outlining 25 routes, Hagebak chronicles a classic feud over a county seat, how French engineers came to build a road across Virginia, and the way coal mining changed the face of West Virginia for better and for worse. In between the tight turns, sweeping curves, covered bridges, tiny towns, and mountain passes of the Central Appalachians, he imparts tips on where to eat, stay, play, and relax. Haakon “Hawk” Hagebak is a retired Cobb County, GA police captain. Over the years with the force he served in positions ranging from the motorcycle squad to secret things we can’t mention. He’s also a former Coast Guard navigator who has logged motorcycle tours in 49 states. And get this: he can even fly helicopters. 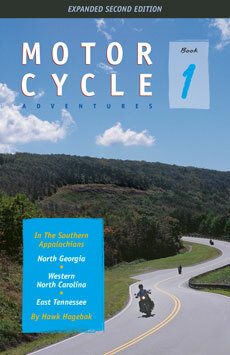 His three-book Motorcycle Adventures series covers more than 5,000 miles of the best touring routes in the eastern U.S. He lives near Atlanta with his wife and daughter.